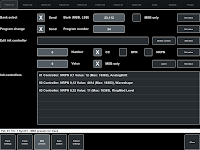 MIDI presets can set initial parameters for tracks such as Bank/Program and CC/RPN/NRPN controllers (learn mode available). Presets can be sent at start of playback/recording or at selecting pattern/song or sent at any time using hotkey. 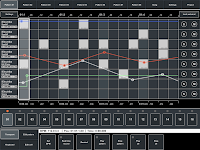 Hotkeys panel is available in any mode with buttons Start/Stop playback, Send presets, Clear track, Clear automation. Hotkey to lock external input to prevent unintended changing pattern notes and automation. Possibility upload and download complete project files to copy on another iPad or backup. 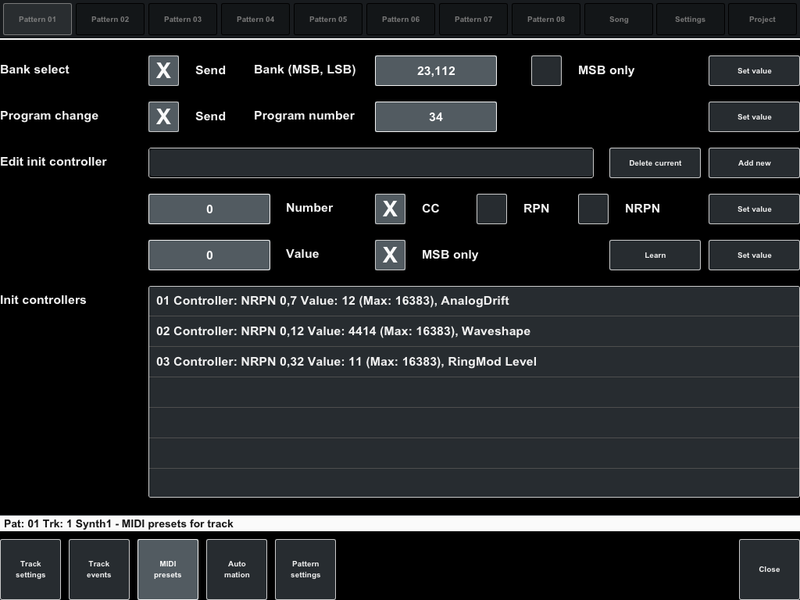 Access through any Web browser to MIDI and project files in local WiFi network. Copying entire measure or defined area to clipboard and paste in specified position. 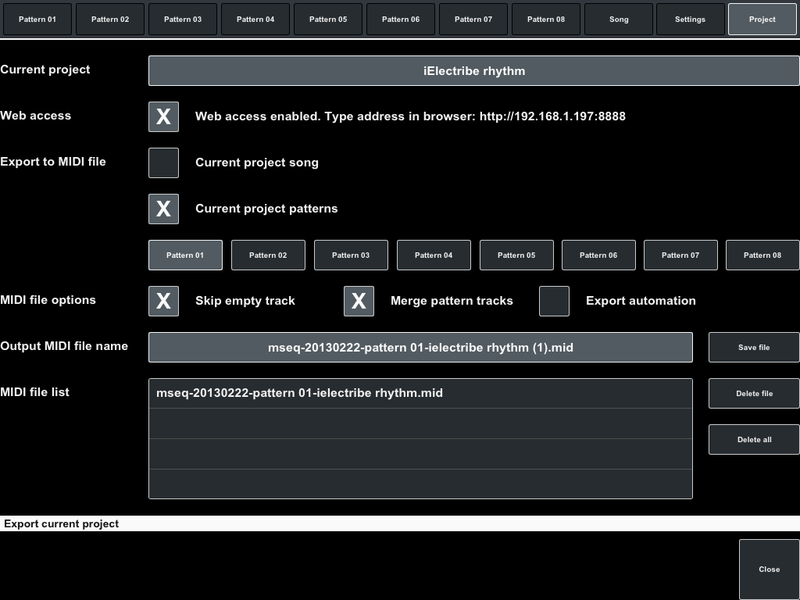 Changing number of patterns in project and song pages (increase). Also manual on this site was updated. 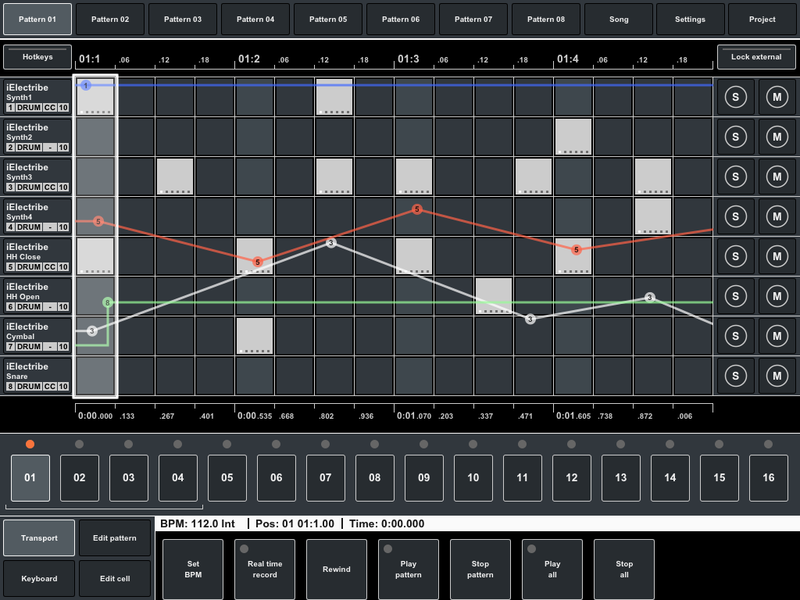 If you like this sequencer and you are waiting for its further development, please support this project. You can leave review and rate this app in App Store, write some words about this project to Facebook or Twitter or recommend it on any forum that you read. Your feedback is very important for me, if you found a bug or have any suggestions how to make this app better please write me using the feedback form.